E-xpress Interactive, India’s leading video game publisher has announced that Ubisoft’s upcoming blockbuster game, Assassin’s Creed: Origins is available for pre-order. Players can now pre-order the Standard Edition of the game which is priced at Rs. 3599 or the Deluxe Edition priced at Rs. 3799. 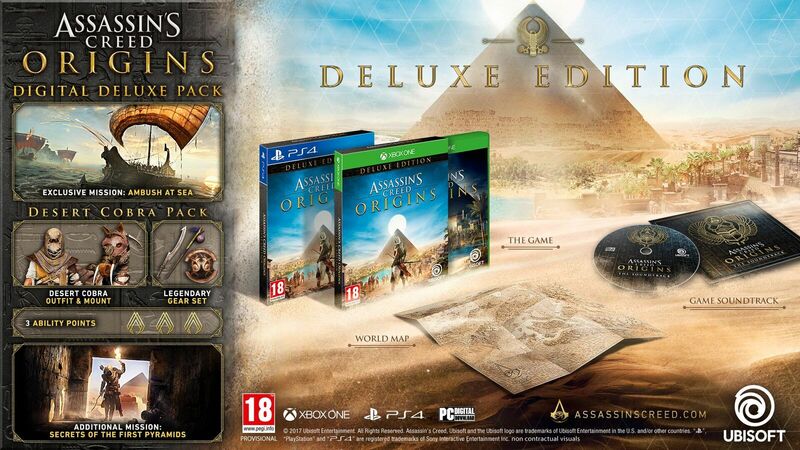 Assassin’s Creed® Origins game with the DELUXE EDITION artwork. Additional mission Secrets of the first Pyramids: Discover the secrets behind the construction of the first Pyramids and what mysteries lie within. Assassin’s Creed: Origins is set to release on 27 October 2017 for PlayStation 4, Xbox One and PC (digitally). The game is available for pre-order with leading retailers, both online and offline.